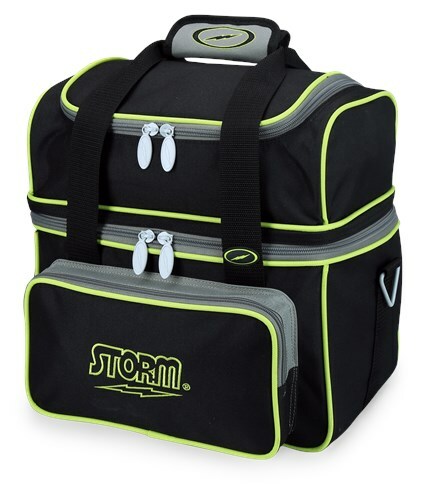 The Storm 1 Ball Flip Tote Green/White has ample storage capacity for a bowling ball, shoes, and accessories. This durable 1 ball tote bag has separate compartment for shoes up to a men's size 13 as well as a foam base for supporting and protecting your bowling ball. Due to the time it takes to produce the Storm 1 Ball Flip Tote Black/Grey/Lime ball it will ship in immediately. We cannot ship this ball outside the United States.